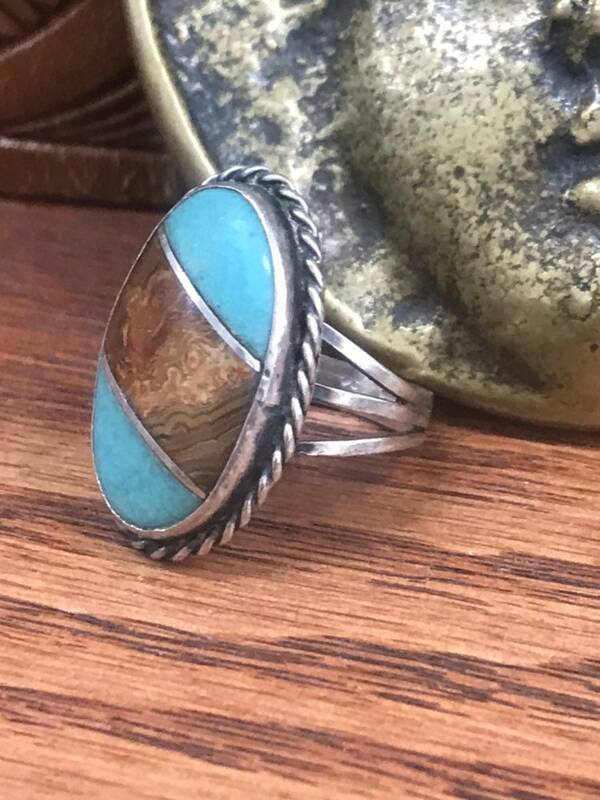 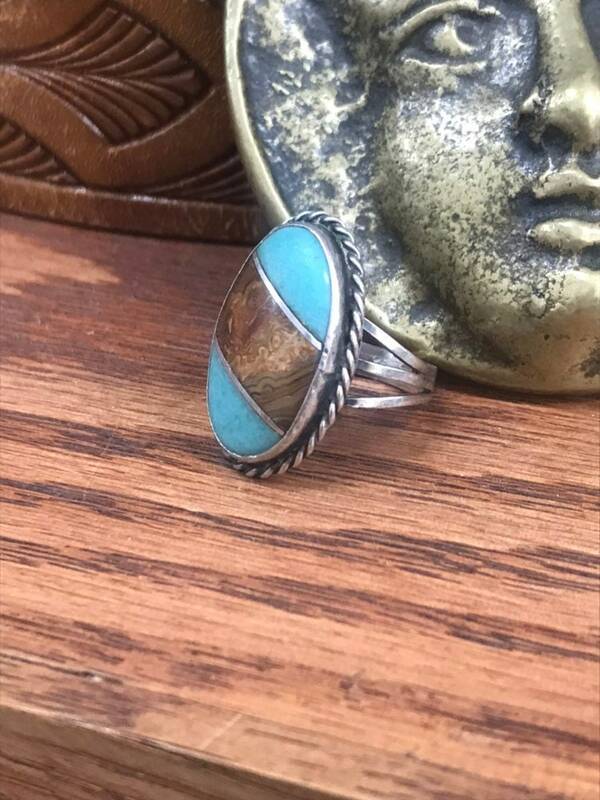 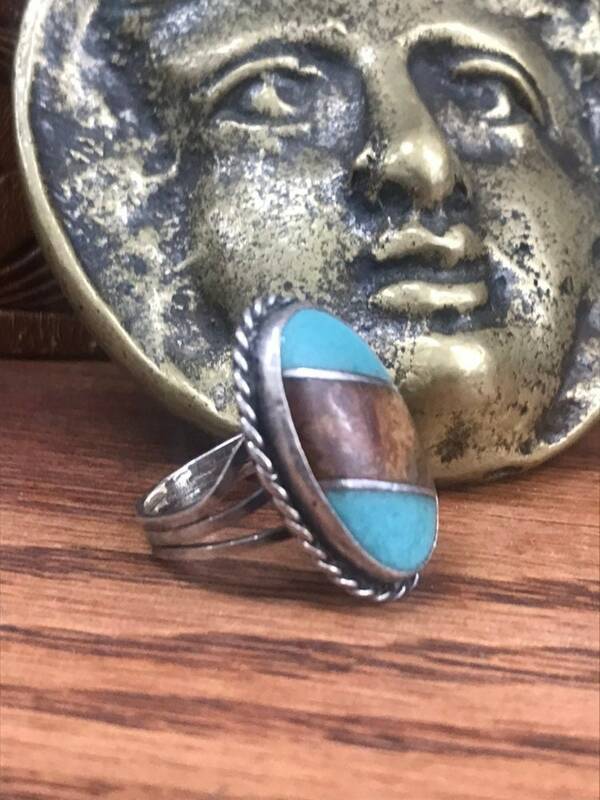 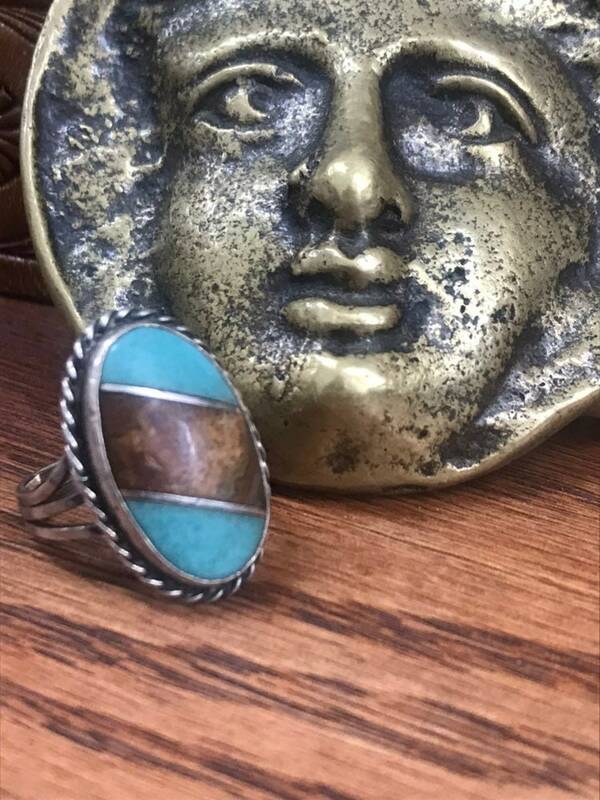 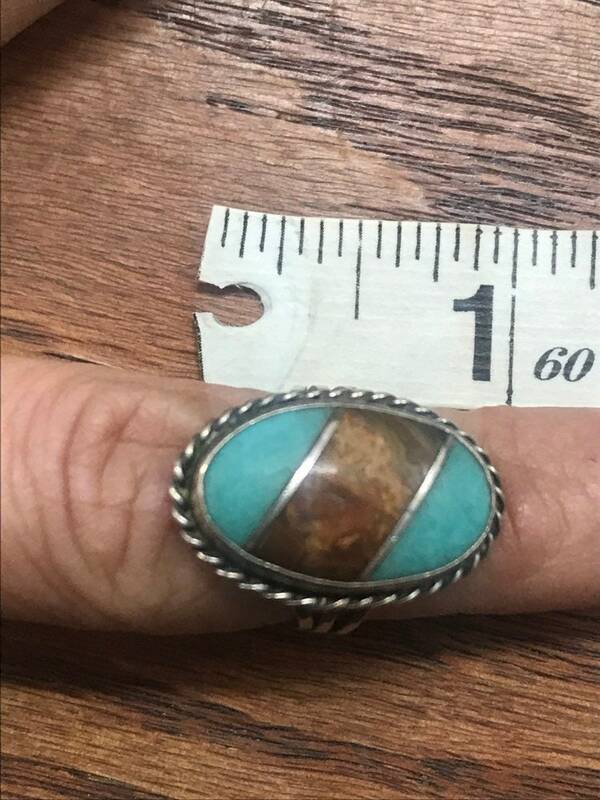 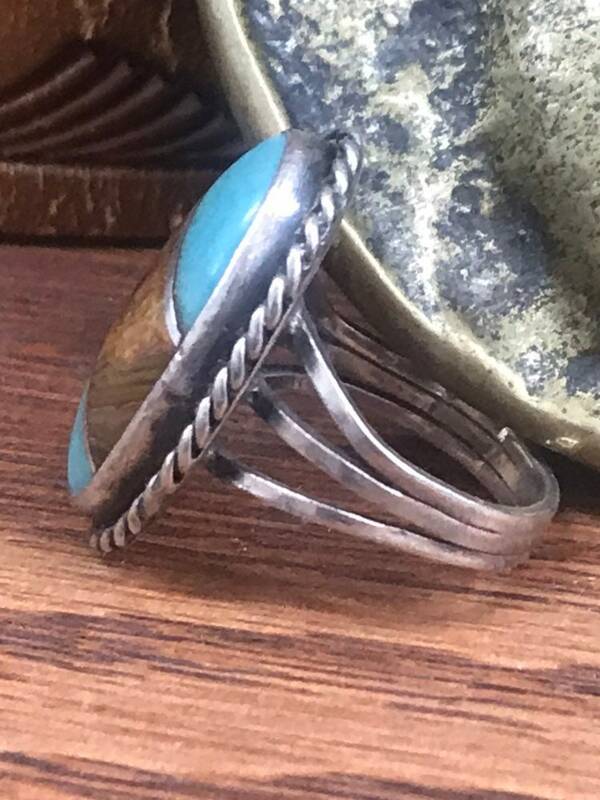 Incredibly beautiful and unique 70s ring. 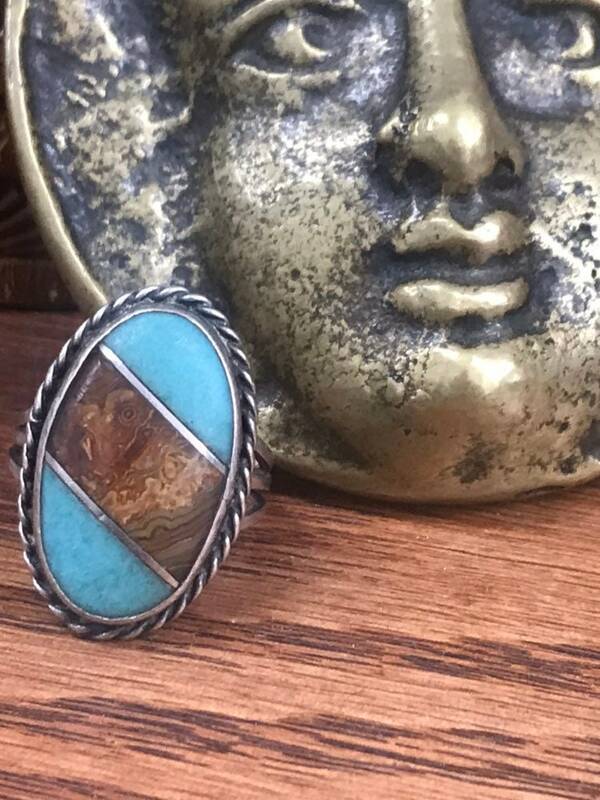 The blue of the turquoise with the petrified wood is such an excellent color together. 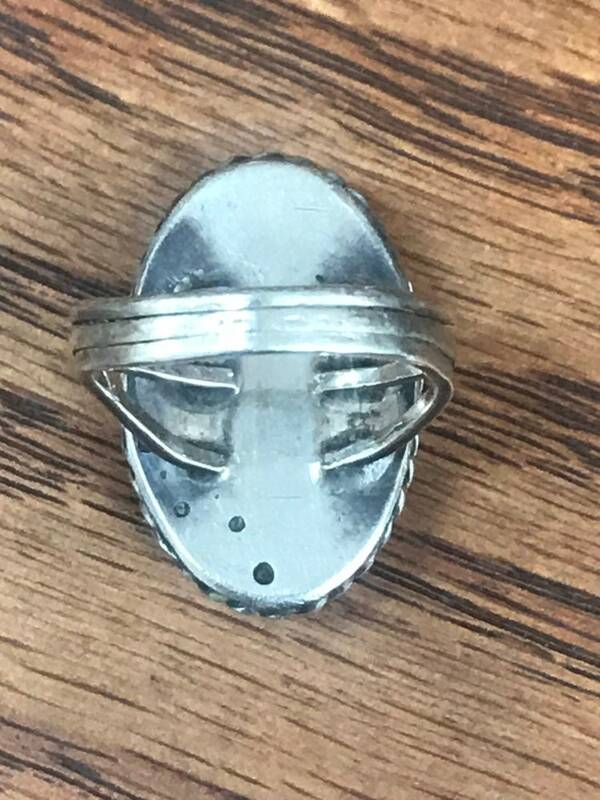 Beautiful design and construction. 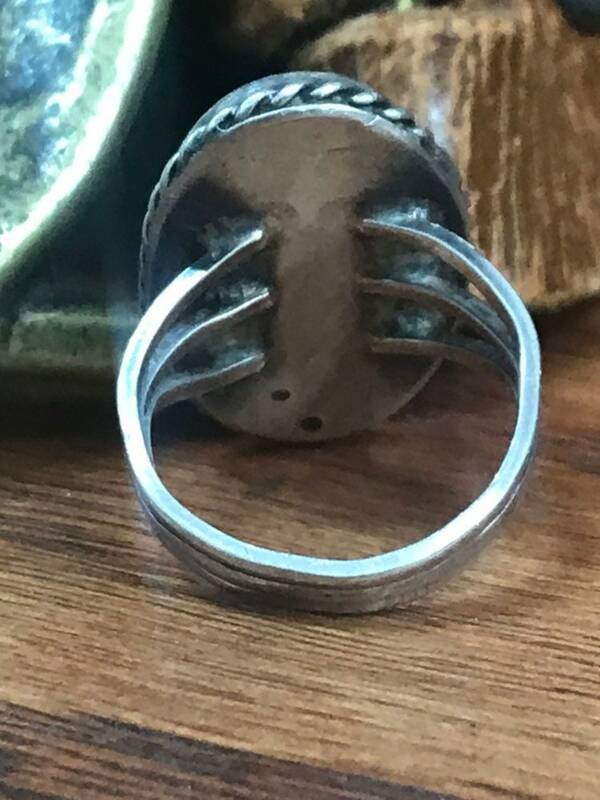 This ring is a unique twist on a classic.